Paris and London have long held a mutual fascination, and never more so than in the eighteenth and nineteenth centuries, when they both vied to be the world's greatest city. Each city has been the focus of many books, yet here Jonathan Conlin uncovers the intriguing relationship between them for the first time. It is a history of surprises: Sherlock Holmes was actually French, the can-can was English and the first restaurant served English food in Paris. Tales of Two Cities examines and compares six urban spaces - the street, the cemetery, the apartment, the restaurant, the music hall and the nocturnal underworld. The citizens of Paris and London were the first to create these landmarks of the modern cityscape. By borrowing, imitating and learning from each other they invented the modern metropolis and so defined urban living for us all. "Jonathan Conlin's wonderful new book is a fascinating walk through two of the greatest cities in the world. With admirable skill and a painter's eye, Conlin presents the reader with a richly woven tapestry of stories and events that is mesmerising to behold. The reader will never think of London or Paris in the same way again." "An intriguing book, this is a tale of two cities, Paris and London, caught between two worlds, the ancient and the modern, the dead and the living. Conlin provides some striking insights into these two capitals which are, in effect, mirror-images of one another. A thought-provoking glimpse into the history of our own London and its elegant, racy cousin, Paris. Beautifully illustrated and well-written." "Conlin is a fine and original researcher, mining nuggets of gold from the most unlikely sources, but he is also wryly amused by the follies of our ancestors, and by our own...Each chapter of this deceptively accessible book can be read as a self-contained essay, a bright light shone onto a specific area of cultural engagement. Or, read straight through, Tales of Two Cities allows readers to reconsider what “everybody knows”. For, with astonishing ease, Jonathan Conlin performs that most useful, and difficult, of tasks: he makes us see the familiar as though it were new. " "In Jonathan Conlin’s Tales of Two Cities the little acknowledged but hugely significant histoire croisee of two rival metropoles gets a long overdue airing...Colin brings an archivist’s industry and an anthropologist’s gift for cross-cultural comparison to this history of the 18th and 19th centuries...his examination of French and English fiction writing’s cross-pollination, particularly the detective novel, is most astute. " " Will interest anyone from commuters on the Eurostar to fans of Charles Dickens...there are many surprises in here..."
"...it is invigorating to read a book that alters our perceptions about which city did what first...a fascinating chapter on detective fiction...There’s a good chapter on streets and walking...There’s also a fascinating chapter on suburban cemeteries in both cities. " 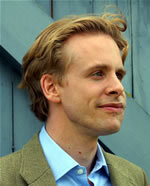 "Combining lively research with an airy style, Conlin seeks instead to unpick the entangled history of music hall entertainers (London’s skirt dancers versus Paris’s cancan girls), restaurants (the effect on a city of sturdy beef eaters of such dazzlingly inventive French chefs as Soyer and Carême) and cemeteries. Full of unexpected facts — it’s delightful to learn that England’s sedate William Gladstone thought Champagne should replace gin as the London poor’s favorite tipple — Conlin’s case studies of possible cultural exchange are both concise and entertaining." "[A] provocative examination of the relationship between the two cities from the beginning of the 18th century to the onset of World War I. In exploring this subject in depth, Conlin has made a most useful addition to the history of cities and the people who inhabit them." "Conlin draws a compelling picture by presenting six case studies of very different but related elements of city life: private living spaces, public thoroughfares, restaurants, the dance hall, the criminal underworld, and finally the burial grounds of its dead. For readers who know and love either, or both, of these urban spaces and want to delve into more detail about what makes each unique and memorable, this is a well-documented, thoroughly researched, informative and enjoyable read." "Conlin has written a readable pop history that is neither a parallel history nor a comparative history. 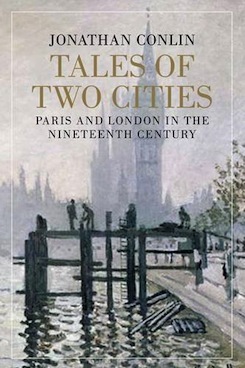 "Tales of Two Cities" explores how France and Great Britain influenced each other. What Conlin achieves with this history of influences is an entertaining account that strings together fascinating factoids into a tapestry of urban history and cultural anthropology.Conlin weaves together a web of interactions and accounts from both fiction and nonfiction sources. He does this with the straightforward prose of a journalist and the intellectual imagination of a historian."